There has been a very positive response among the Yao people in Malawi to their new Christian radio station Radio Lilanguka. Only 0.5% Malawians are evangelical Christians but this first Yao Christian radio station has already started to unify isolated ministries and churches who are working with this unreached Muslim people group. In addition, 600 solar powered fix-tuned radios have recently arrived at the station for distribution amongst the local people. Pray for a real gospel impact as a result. Christian literature is important to all Christians for learning and developing their faith. In some countries it is hard for Christians to get the books they want, and even more so if they need them in in braille or large print. Having used the Malawi Torch library to get books in braille, one man said, “It is an essential tool which is making my visual impairment nothing to worry about... my preaching has drawn the interest of many because I read with my fingers”. Pray that more blind and partially sighted people in Malawi will be able to get Christian literature in a format they can read. Bimbi in Malawi has high temperatures, low rainfall and frequent droughts. Most of the local population practise subsistence farming but this is seriously undermined by the climate. Our partner, Word of Grace Church, has a large piece of land adjacent to the church building, which could be irrigated and farmed to provide an opportunity for the church to help five different villages in the area. It has taken a long time to get the correct permissions in place but it is ready to go forward now. Pray for this project which has the potential to grow 35 hectares of green crops and supply food and income for many. The Yao people in Malawi are a peaceful and tolerant people but the Christian gospel has made little impact there over the years. It’s estimated that just 0.5% of the population are evangelical Christians. Now, after 19 years of failed attempts, negotiations and prayers, the first Yao Christian radio station is finally on the air and has already started to unify isolated ministries and churches who are working with this unreached Muslim people group. 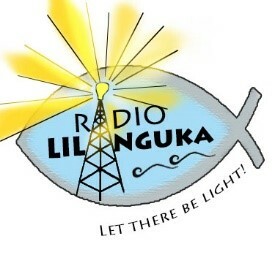 Pray for a real gospel impact from Radio Lilanguka which will reach hundreds of thousands of Yao listeners in the region. Many church leaders in Malawi have a hunger for God’s Word. Yet even the minority that received training at Bible College have few resources of their own. Give thanks for the library that is being developed in Blantyre through The Kerusso Trust. Give thanks for Langham Literature, the Scottish School of Christian Mission, the Opal Trust and many individuals, who have partnered with The Kerusso Trust to provide almost 5,000 books. Pray that the library will be well used by pastors and church leaders, and that studying God’s Word will equip many church leaders to disciple and teach the Bible to others. Zambesi Mission has been working with Malawian children's worker Etiny Thole to produce a book of scripture-based worship songs for children. Malawi has a rich tradition of beautifully harmonious choirs. But the words that they sing are not always based on God's Word. The book called Ananu Ziimbani (Come children join and sing) contains songs in the native Chichewa and Chitumbuka. It is also available in CD format to suit Malawi's oral culture, where new songs are learnt by hearing and repeating. Please pray that this initiative will really help children to learn the truth about Jesus and follow Him through worship. 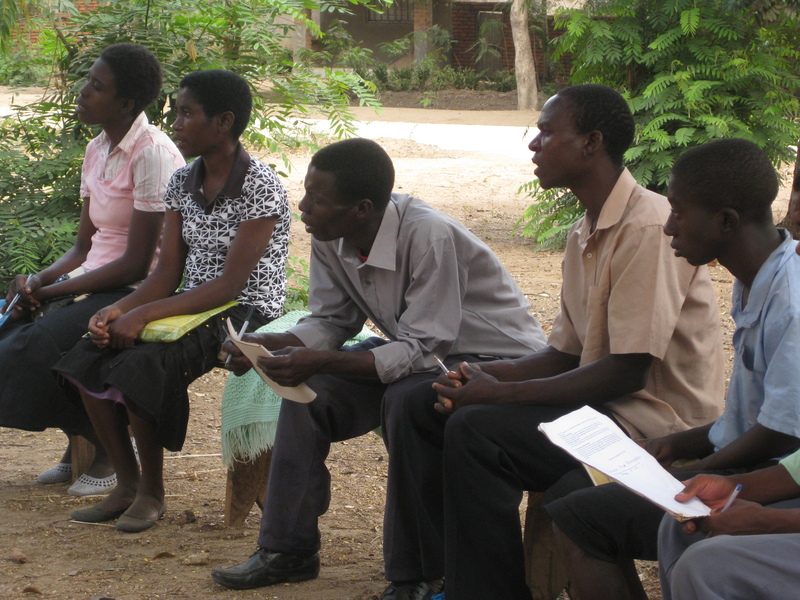 In Malawi, one of the poorest countries in the world, 90% of pastors have had no opportunity for Bible training. The Kerusso Trust is working with J-Life Malawi to bring basic Bible and ministry training to rural church leaders, through workshops called Learn2Serve. Give thanks for pastors like Dennis, who daily walk five hours to attend the programme. Please pray for a new course called Entrust, starting in July, coaching pastors who have completed Learn2Serve to train other church leaders. About half of Malawi’s population is under the age of 18. The Fellowship of Youth (FoY) of the Zambezi Evangelical Church in Malawi organized a summer conference which was attended by 3,000 young people from across the country. The theme of the conference was ‘Unless the Lord builds the house’. One of FoY’s main aims has been to stress the importance of Biblical discipleship amongst the youth, and the conference was geared towards this. Teaching sessions at the conference included Bible studies on discipleship and evangelism, as well as other spiritual disciplines, eg giving. Please pray for FoY as they seek to live distinctively Christ-like lives in a country where severe poverty is widespread and false teaching is rife. For the past two years Malawi has faced a series of weather related disasters. This year El Nino has caused widespread drought in most countries in Southern Africa and in Malawi over 5 million people are facing hunger because of failed harvests. Emmanuel International Malawi has been asked to partner with The World Food Program (WFP) to feed over 500,000 of those in need, in 2 districts. This will entail the targeting, and distribution of food each month for 5 months to those 500,000 people. Please pray for motivated and organized volunteers to help with various tasks during this process. Children for Christ Ministry (CFCM) is a Malawian organisation committed to making Jesus known to their country’s children. During the school holidays their main focus is on teaching Sunday school teachers. They have been preparing teaching materials in Chichewa (the main native language), since there is “nothing available commercially” in Malawi. They plan to produce a 52-week lesson plan, with Bible passages, suggested activities, how to bring in the Gospel through the story, and tailored suggestions for spiritual growth for both teenagers and children. Pray that CFCM will be able to get this valuable resource out to Sunday school teachers in Malawi. The Zambezi Evangelical Church (ZEC) has been trialling a series of income-generating schemes to see if they can be used effectively to support church pastors, to relieve church members’ poverty, and help others in their communities. Unfortunately, when visiting a potato growing scheme in the north of Malawi, ZEC’s leaders found that the cash that had been gained from the project was less than the set up cost. Please pray that ZEC’s leadership would not be overwhelmed by the problems they face; please pray that they would know the Lord’s wisdom and strength as they work out what type of project will work in each different church. Christian leaders in Nigeria are concerned about a Religious Regulation Bill proposed by the state governor of Kaduna which could see street evangelists fined and pastors sent to jail for up to two years for so-called ‘offensive’ preaching. The Bill would also require clergy to obtain an annual preaching permit. Church leaders fear that the legislation is an attempt to stifle and target Christians under the guise of tackling extremism. A Release partner in Nigeria believes the legislation would set a dangerous precedent. Please pray that the Bill does not become law. Nthorowa Health Centre is one of six centres run by the Zambezi Evangelical Church (ZEC) in Malawi. The reductions in infant mortality have been rare “success stories” in Malawi’s recent history, partly attributed to the services provided by faith-based groups such as ZEC. But the future of such services is under threat. Cash flow at health centres is a major problem; the government of Malawi has reportedly failed to honour its financial commitments. 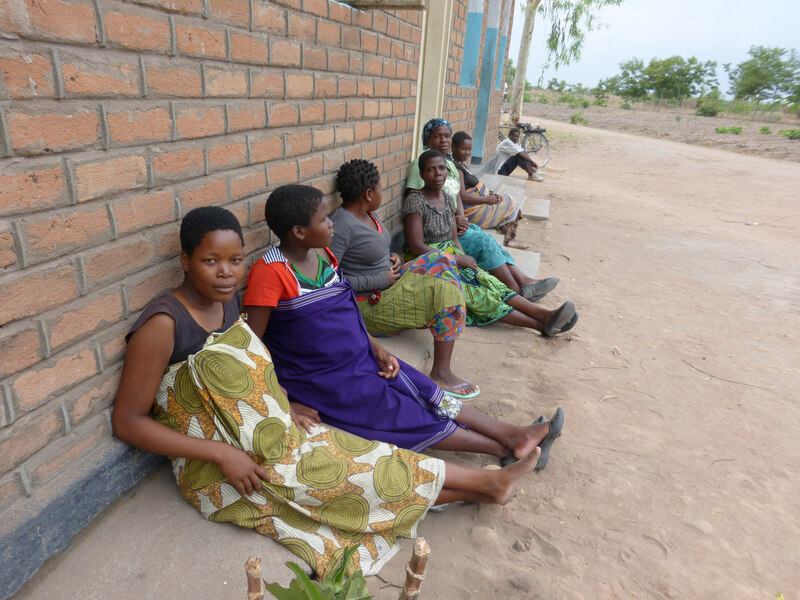 Please pray that God would provide for the future needs of ZEC’s health facilities, so that they would be able to continue to run their compassion ministry for years to come. 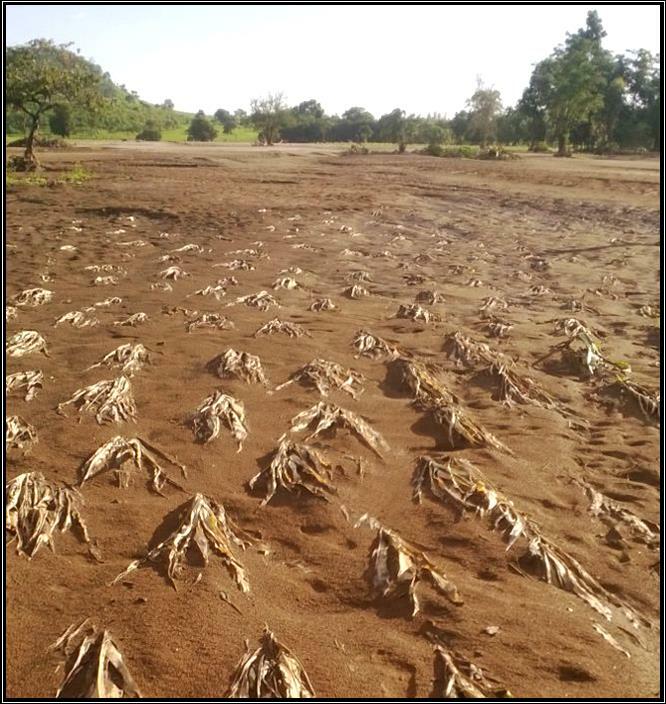 The recent flooding experienced in Malawi destroyed many people’s crops. The rainfall in some places, particularly in the South, during the current growing season has been minimal and erratic. 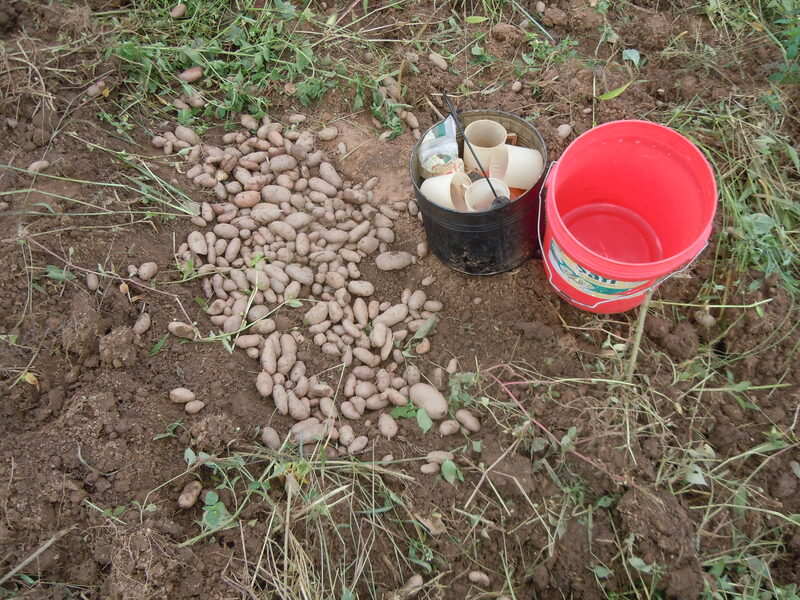 Sowing has taken place, but many crops have wilted due to long dry periods between the rains. It seems possible that some parts of the country will face severe food shortages, unless the weather improves. Please pray that steady but not devastating rainfall would fall across Malawi, including the South, so that a good harvest would be reaped and a widespread hunger situation would be averted. Children for Christ Ministries (CFCM) is a Malawian organisation committed to making Jesus known to their country’s children. They are currently focussing on training Sunday school teachers and Bible club leaders. Many churches have Sunday schools in name only – children’s work often has a low priority. 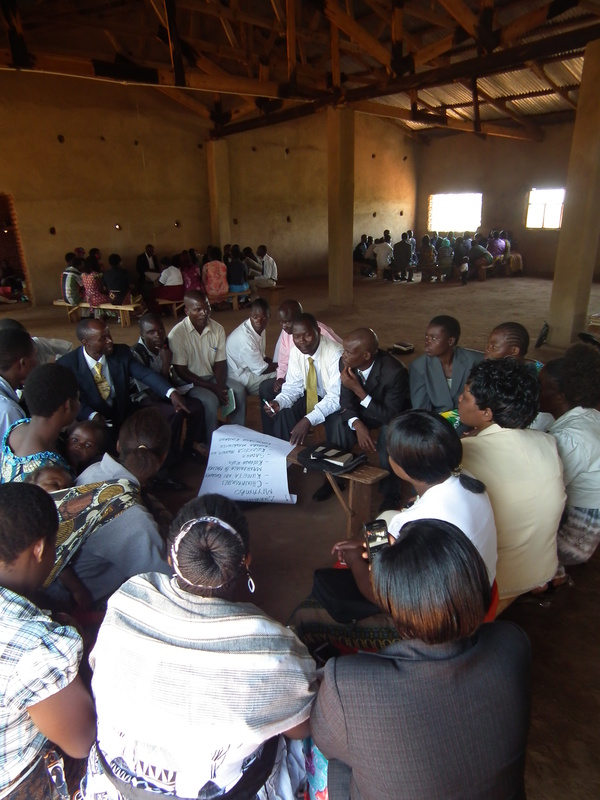 CFCM runs training seminars across Malawi, working through topics including personal discipleship, the need to evangelise children, how to teach a Bible story or a memory verse and setting up a Bible club. CFCM want to train more trainers, so that the work can multiply and spread throughout the country. Please pray for their ministry: that more and more children will be properly taught in a fun and imaginative way and brought to faith in Jesus while they are young. Much of Malawi has been affected by devastating floods. Many of the crops that Malawians rely upon for their sustenance were washed away or buried. There is a real fear that the loss of these crops will lead to unaffordable food prices and widespread hunger in the coming months. Maize sown in December will not be harvested until March / April next year. Pray that churches, Christian organisations, international NGOs and the Malawian government would be vigilant and ensure that all Malawi’s people have access to sufficient food. Please also pray that this year’s rains would be gentle and persistent, not sudden and destructive; so that there would be a good harvest and sufficient food for all. It is estimated that over 90% of church leaders in Malawi have never received any formal Bible training, so there is a great need for the conferences provided by Zambesi Mission and J-Life/Learn 2 Serve. Over 200 church leaders came to the last of three conferences this summer at Nchalo, and tried to persuade the organisers to continue teaching! Please pray for the strategic development and scalability of these conferences, so that church leaders in Malawi are taught sound doctrine, so that they too can, in turn, teach Scripture faithfully in their churches. After the country of Malawi was hit by severe flash flooding in which many people died, remaining families recently planted crops which were also destroyed. Malawi relies on subsistence farming: there is concern that a famine will occur later this year when maize supplies run out. Please pray for those who are working with the Church in Malawi – that they would have the resources to help churches with food without creating dependence; and that they would help the churches to become more resilient in the future. A pastor from the Zambesi Evangelical Church (ZEC) had a most encouraging day recently when he baptised 35 people at a rural church in Malawi. However, he was surprised to find out that not a single one had a Bible. He wrote that this “means the church has a long way to go to address this problem”. The pastor asked, “how will these young men and women get rooted in the Word of God if they do not read the Bible”. Please pray for organisations that seek to help provide Malawians with a Bible. About 50% Malawi’s population is less than 18 years old. The Zambezi Evangelical Church (ZEC) recently held a national youth conference in Central Malawi. It had a theme of “Seek first the Kingdom of God and His righteousness”, and was attended by over 2,500 young people from ZEC churches across Malawi. One commentator wrote that “the conference was timely for the fact that the life of the youth is being challenged by strong winds of anti-Christ and liberalism. The teaching was centred on the word of God, holiness, discipleship, counselling and countering peer influence”. Please give thanks for the way that God is using these young Christians. Please pray for their plans to launch a Bible-based discipleship programme that will be studied at every local ZEC Fellowship of Youth group. Pray for blind pastors and Bible teachers in Malawi. Many more blind people are contributing to church life, after years spent alerting churches to the need to include people with sight loss and use their gifting. Torch plays a key role in equipping blind Christians to lead, through providing them with braille and large print Scriptures and Christian publications in Easy English and a range of African languages, enabling them to study at Bible college. Pray for the blind people of Malawi. 1% of the 16 million population in Malawi, one of the world’s poorest countries, is blind. Unoperated cataracts remain a major cause, but there are only a handful of ophthalmologists in the country. Many blind people cannot work and they and their families become destitute. OM has opened a new primary school in Malawi called Chiyembekezo (Chichewa for ‘hope’). 16 children have been accepted for its first class, many of whom have lost at least one parent to HIV and AIDS. Praise God for the opportunity to open the school, and pray that the people will not see it as a work of the people, but as the Lord’s project, so that glory will go to Him. In many countries, ‘bad weather’ isn’t unpleasant or inconvenient, it’s life threatening. One of those countries is Malawi, in south-east Africa. As rains have become less predictable, and drought more common, there simply hasn’t been enough food. Christian organisations are seeking to help families adapt to the changing climate. They’re teaching farmers new farming methods, and working with women to develop new ways of earning income. However, these problems are increasingly common in other countries around the world. Pray for political leaders to fulfil their promises to help communities that are struggling as a result of climate change. The Evangelical Bible College of Malawi (EBCoM) was established in Blantyre nearly 50 years ago and is still going strong today. At this stage of the term, students will be preparing to sit their exams, whilst prospective future students will be considering prayerfully whether they should apply to study at the college. Please pray for the Holy Spirit to raise up and equip students for lives of serving and proclaiming Jesus both inside and outside Malawi. Children for Christ Ministries (CFCM) is run by Malawians who are committed to making the Lord Jesus Christ known to children in their country. CFCM has a twin ministry: firstly, they run weekly children’s Bible clubs in the Blantyre area. One of these is held at Mpemba ‘reformatory’ school - 40 out of 60 of these troubled young children have given their lives to Christ. CFCM also runs training courses for Sunday school teachers. Amazingly many of these teachers commit their lives to Christ for the first time during these seminars. Pray that lives would continue to be transformed by Jesus through the work of CFCM. Police in Malawi have raised concerns about escalating numbers of mob justice incidents in the country. This followed the death of a family man in his 30s, attacked and beaten by a mob after he apparently tried to steal some goats. Pray for the safety of the many Christian workers in the country. Pray too for President Banda, Africa’s second woman leader, who took office in April. Her efforts to restore relations with former donors seem to be having some result, with Japan and Germany among countries to recently pledge funds for disaster relief and poverty reduction. Very few church pastors in rural areas of Malawi have had any formal training in theology or pastoral ministry yet the need for them to give good Bible-based teaching in their churches is paramount. Many Christian organisations working in Malawi have recognised this, and are developing and carrying out discipleship and training courses for pastors and elders. However these courses can be isolated and there is a need for better coordination at a national level. Please pray for improved planning and sharing of good practice between organisations, so that the church in Malawi would be filled to the measure of all the fullness of God. The leadership of Malawi’s new President, Joyce Banda, has given fresh hope to one of the poorest countries of the world. As a result of her reforms, the IMF has said it will lend the country £101m and the UK has announced a £33m aid package. This past year, shortages of fuel and foreign currency along with drought conditions have intensified poverty. Torch Trust has been supplying relief to people with sight loss in Malawi – among the poorest people on the planet – as they have been facing starvation, with many resorting to begging. We urge you to pray for rural churches and their pastors. About 80 percent of Malawians live in rural areas. They are facing big challenges at present. 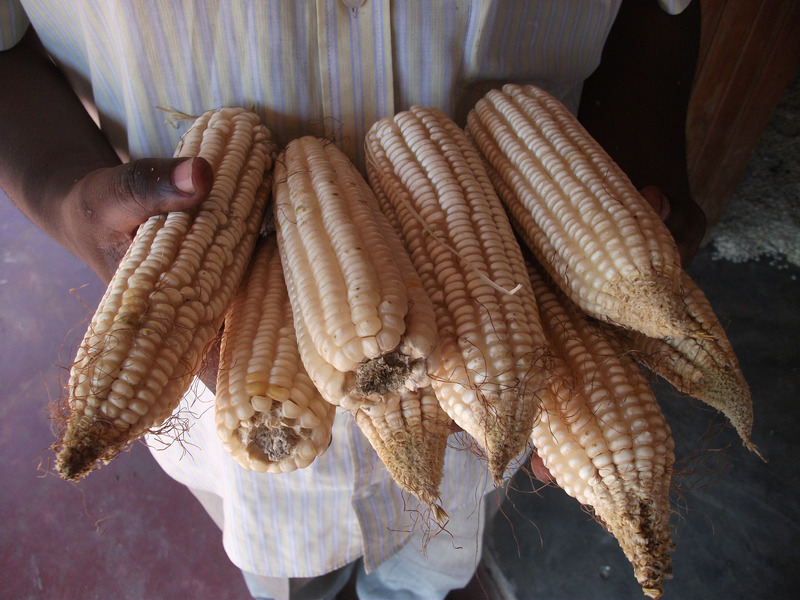 Intermittent rains at the start of the maize growing season have meant that the imminent maize harvest will be variable. Fuel shortages and high commodity costs also make life difficult. Please pray that church members will be able to support their pastors. But it isn’t just a problem of physical sustenance: please also pray for ways that churches, bible colleges and mission organisations in Malawi can support each pastor’s ongoing spiritual development and discipleship. Malawi has more Muslims than anywhere else in southern Africa but the religion growing the fastest is traditional African religion. Amongst the Angoni, who migrated from Swaziland in the 19th century, the sons of the most prominent chiefs - the future paramount chiefs – are now sometimes sent to Swaziland to be brought up in their traditional culture, including its all-pervading spirit worship. Although the Church is growing fast in Malawi, spirit worship has a widespread but largely hidden influence -particularly in rural areas. Please pray that the Lord would empower Malawian pastors and evangelists to both preach and live out the way of salvation, and that he will raise up many more true disciples. Malawi is best known for its friendly people and the beautiful Lake Malawi. Heavily dependent on international aid, 80% of Malawi’s population live in poverty, surviving on less than one US dollar a day. Furthermore, the influence of Islam has grown ever stronger and Malawi now has the highest percentage of Muslims in southern Africa. Nevertheless, the gospel is also gaining ground. Pray for the work of churches and organisations working to bring hope to the people of Malawi.